Pastor Jordan Orick is the real deal. His testimony, life and ministry are a true reflection of God's amazing grace. God uses him in the prophetic gifts to lift up, encourage and to build the Body of Christ. Jordan has a heart to see believers fully walk out their identity in Christ by understanding all they have been given because of Jesus finished work on the Cross. His ministry is New Covenant in every aspect. I know and believe that after listening to Pastor Jordan you will have a fresh revelation of God's grace, Spirit and the New Covenant. It is with pleasure and confidence that I recommend Jordan Orick. I am pleased to say that Jordan is a man of integrity and upright character. I have seen Jordan in diverse situations, maintaining that integrity at all costs. If he says he will do something, he keeps his word; anyone would find him to be dependable and faithful. Jordan's personal testimony of deliverance and victory is one of the most moving, faith-building, encouraging, and significant testimonies I've ever heard. He is a man who transitioned from being overcome- to his rightful place in life as an Overcomer and the impact made for the Kingdom when he shares and ministers his testimony to the glory of God is beyond describing with mere words. The air fills with electricity and hearts are stirred with the gift of the Spirit kind of faith. The kind of faith that makes the dead come to life. Hopelessness turns into expectancy. Jordan Orick is a man with a keen sensitivity and an accurate detailed gifting in the Word of Knowledge, Word of Wisdom, and Discerning of Spirits. The ministry of a prophet is quite visible in this man of humility, grace, love, and mercy. I am humbled and honored to know Jordan as a dear brother in Christ, fellow minister, and he is one of my closest personal friends. I've watched Jordan grow from a boy to a man, from a single guy to a husband & father, from a bible college student into a five-fold ministry office, from a defeated Christian into a victorious Believer and I can tell you first-hand; Jordan Orick is a caring person who will go the distance in his outreach to not only meet the needs of people but with great skill with also teach, groom, and train upcoming ministers in the making who will serve well and accomplish great and mighty things for the Kingdom. 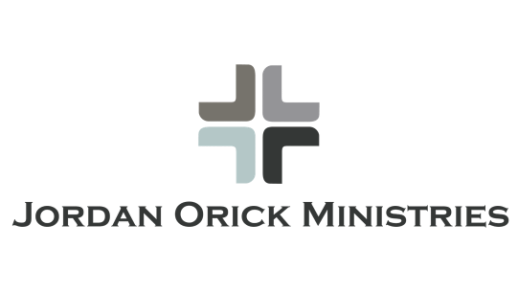 I believe in this man, ministry, and outreach and I believe anyone desiring mature counsel and genuine ministry will benefit greatly from the ministry of Pastor Jordan Orick. He can be relied upon and will be a great asset wherever he goes! ​Sincerely, Pastor, Dr. Ronnie Pierce, Ronnie Pierce Ministries, Inc.